Doris Lake is an easy one mile hike from the resort and a popular swimming hole for decades. The lake is only spring-fed, so the temperature is quite nice for swimming at about 70 degrees. Swimming is best from mid June through the first week of September. 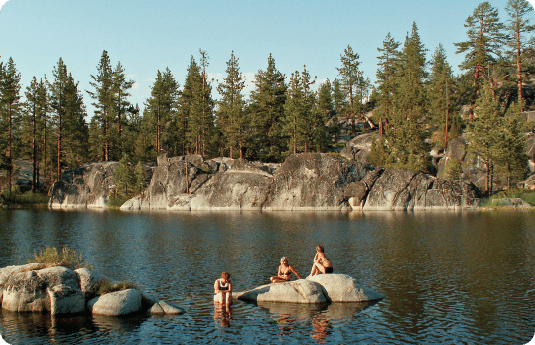 Tule Lake is about a ¾ mile easy hike past Doris Lake that is also spring fed and great for swimming. The Lake is surrounded by granite cliffs and tules, with only one easy access point that the store clerk can help you with.